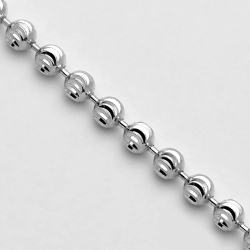 Our army beaded chain has a simple look with handsome style to spare! Expertly created from cool 14k white gold in Italy, it features highly-polished shimmering finish. 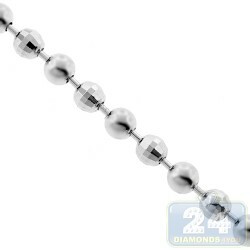 The beads also have moon cut design for extra brilliance! 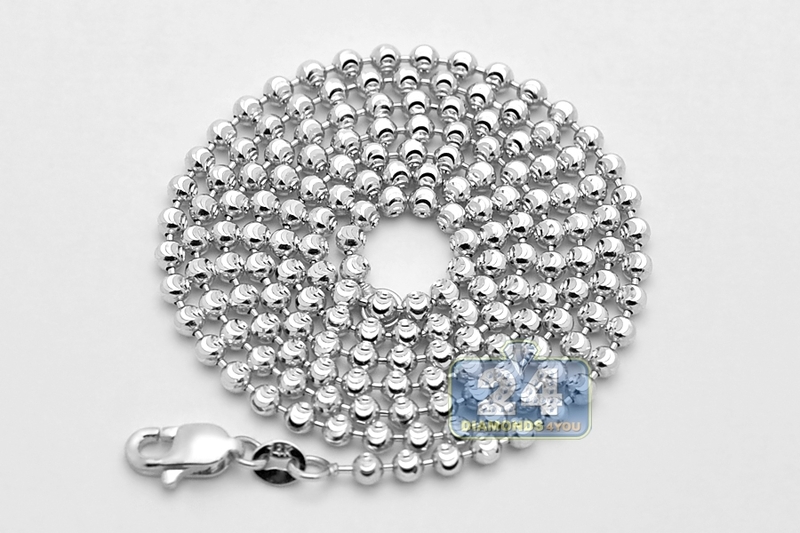 The 14k white gold chain measures 3 mm in thickness, and comes in length of 20, 22, 24, 26, 28, 30, 34 or 36 inches. 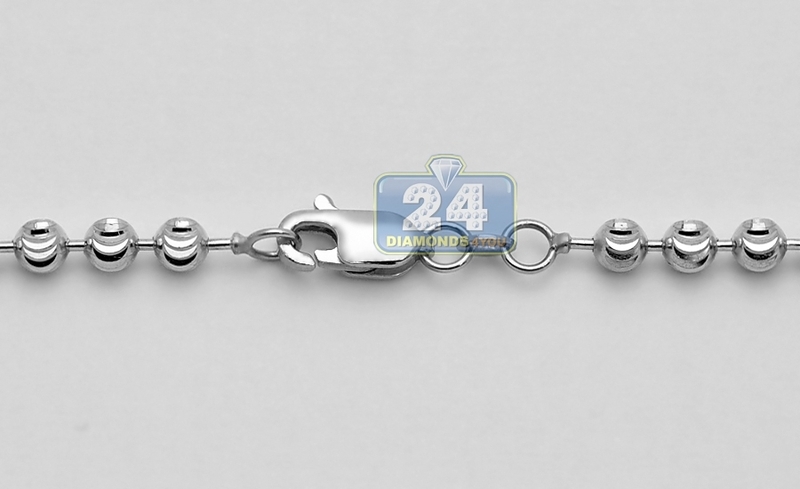 The endings are connected by a user-friendly lobster claw clasp. 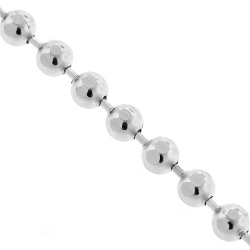 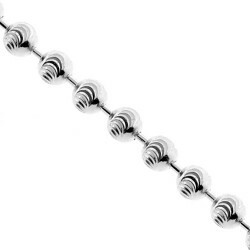 This men's ball necklace is a refined choice!